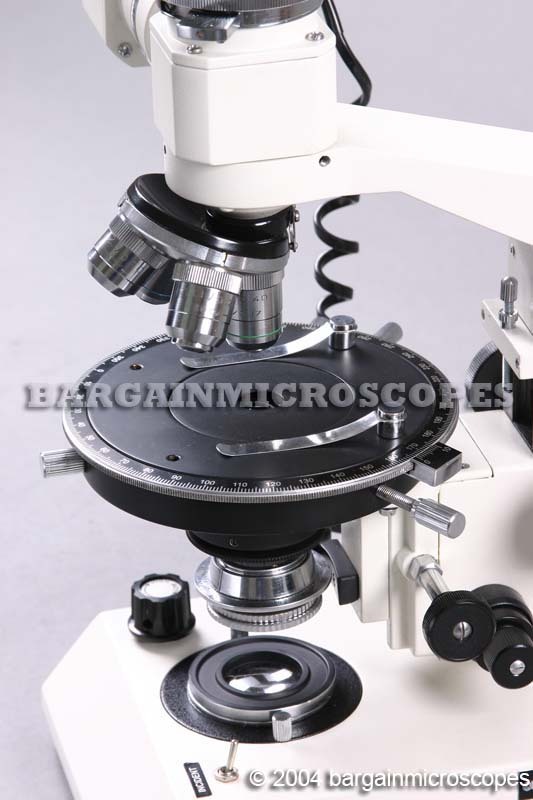 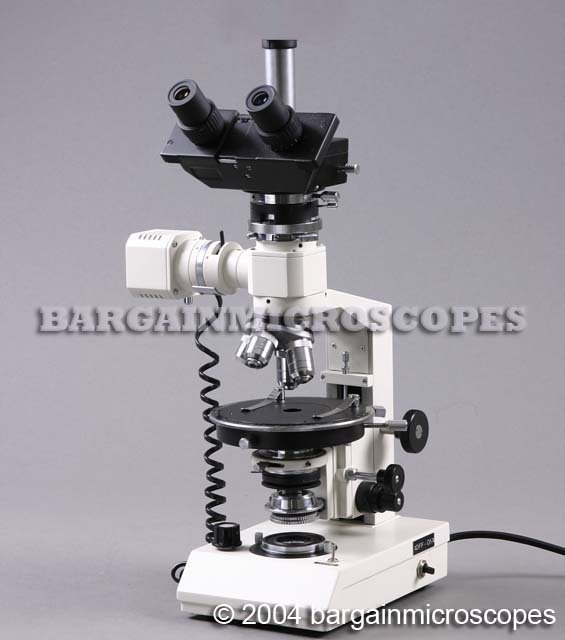 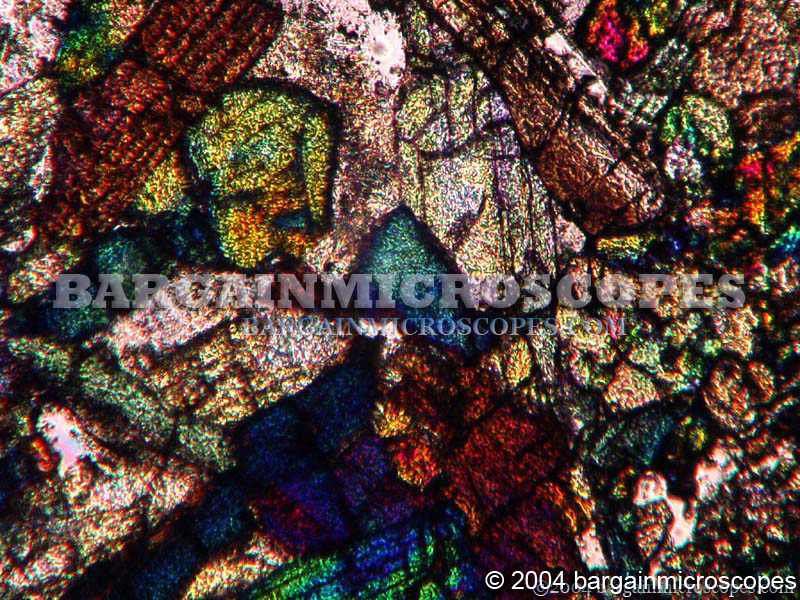 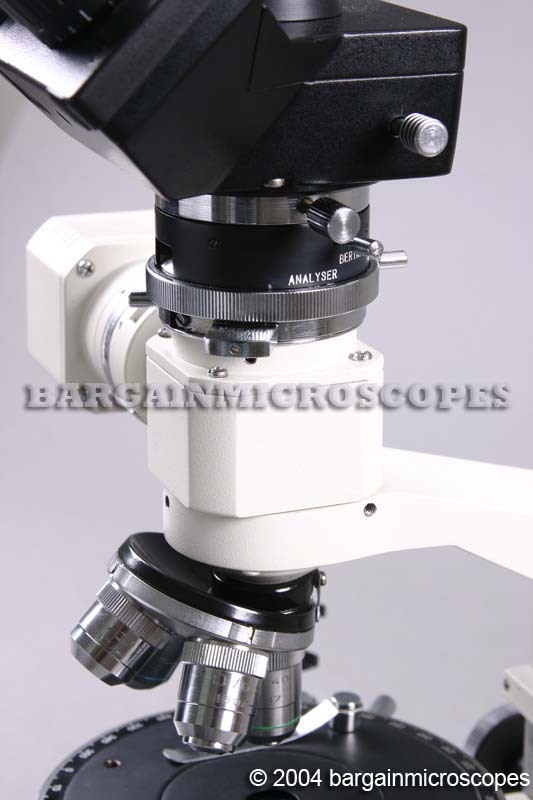 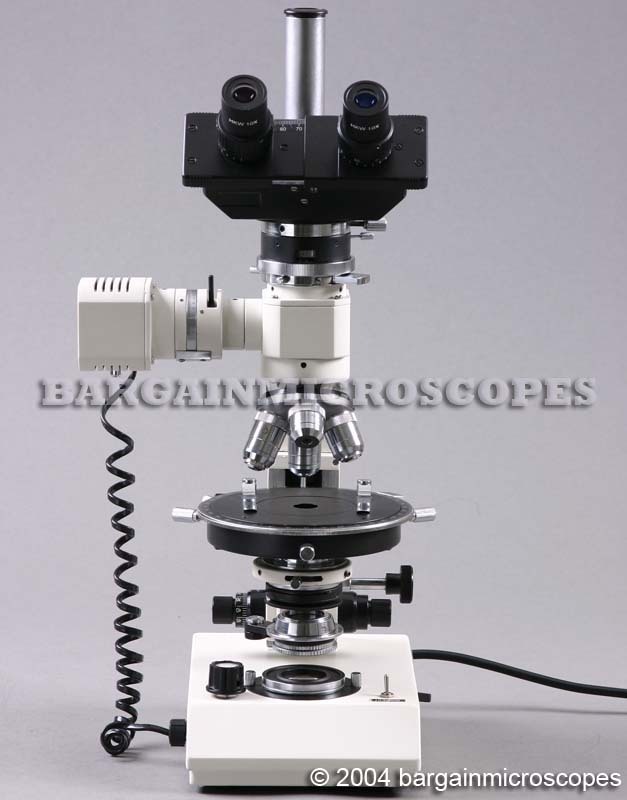 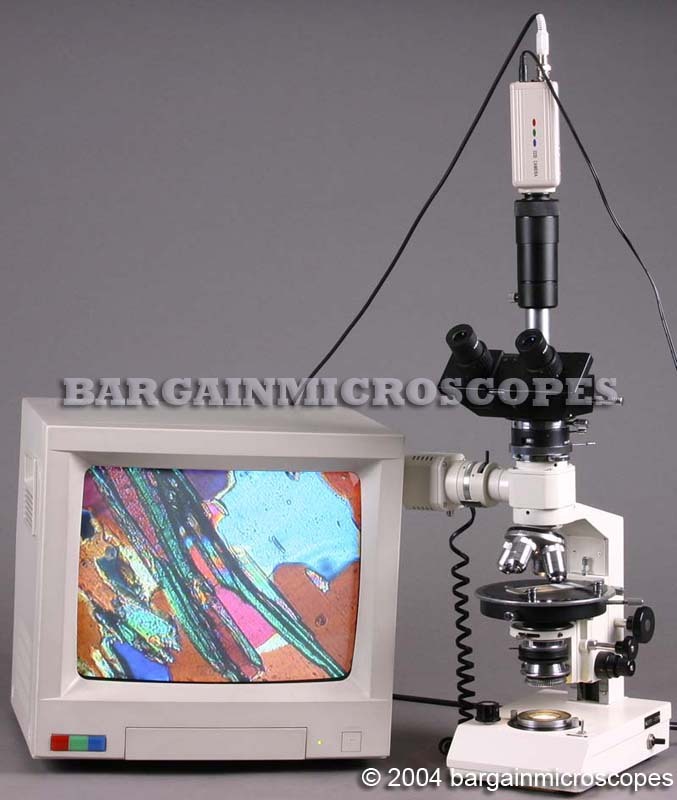 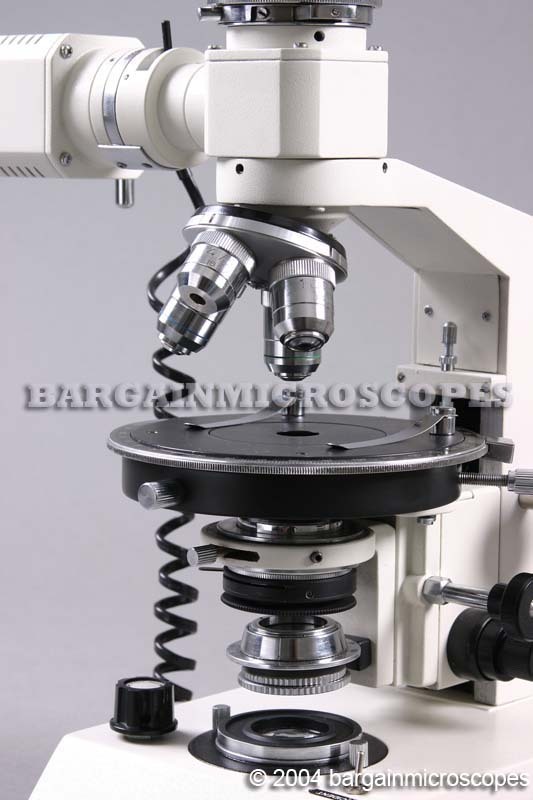 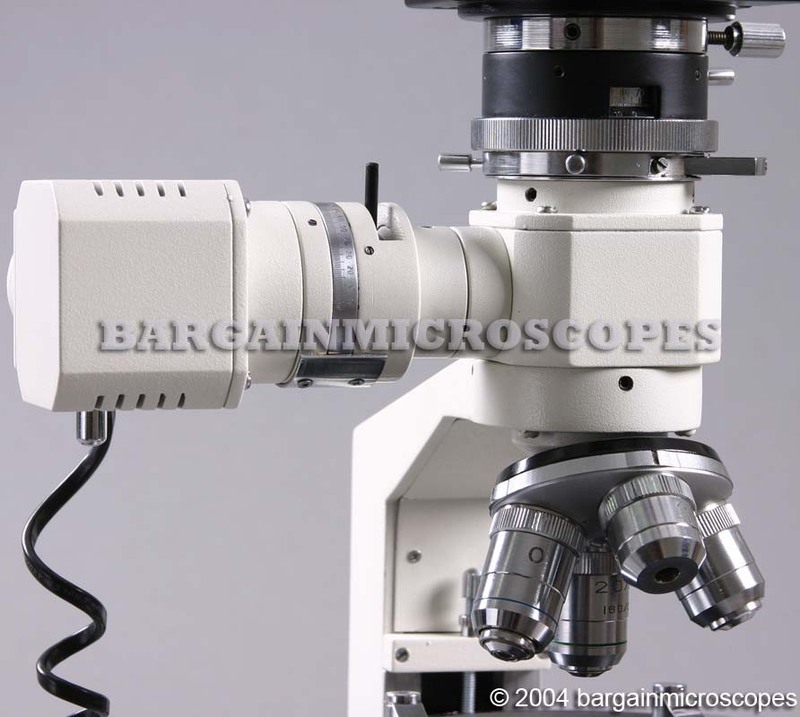 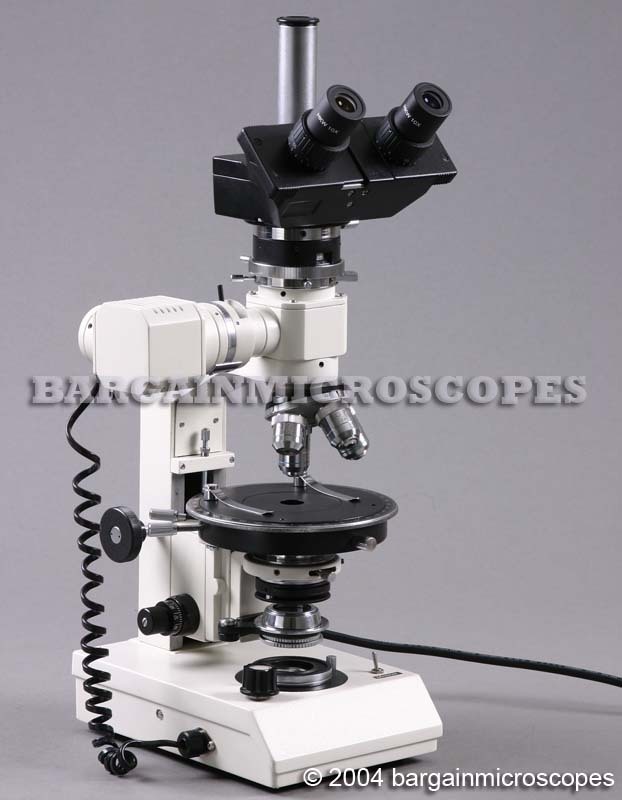 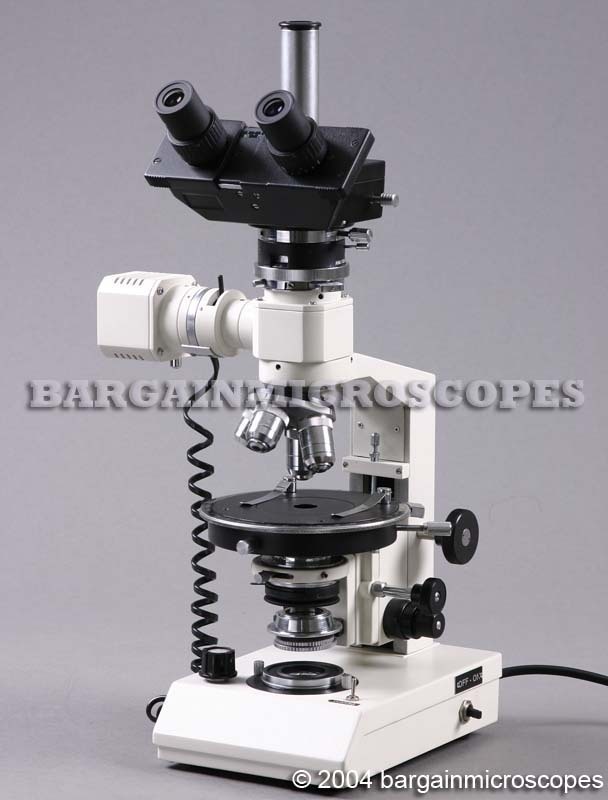 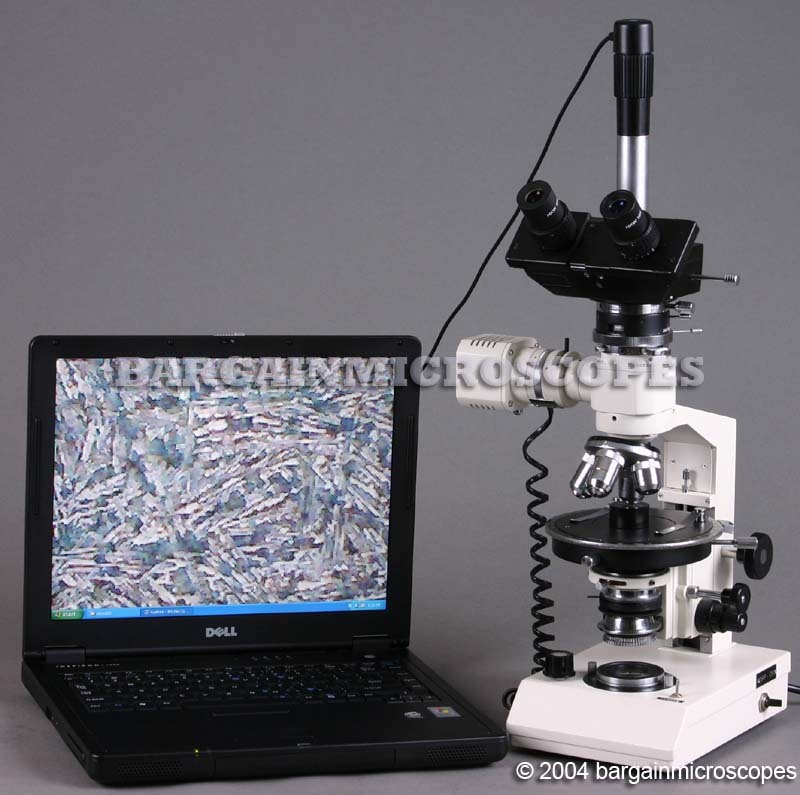 Professional High Power Ore Polarizing Trinocular Microscope! 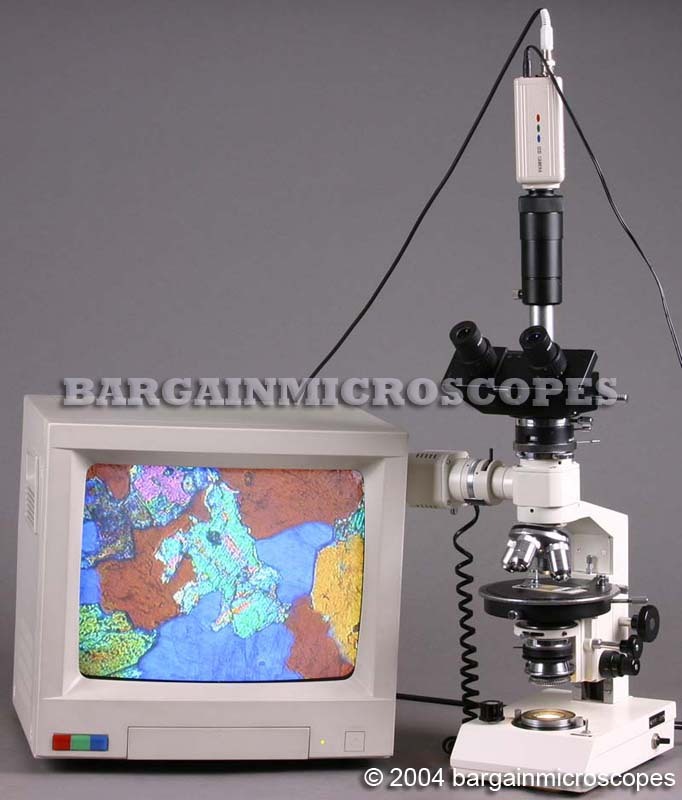 In addition to the normal Transmitted Polarization, this unit had the added feature of doing Reflected (Epi-Illumination) Polarized Light! 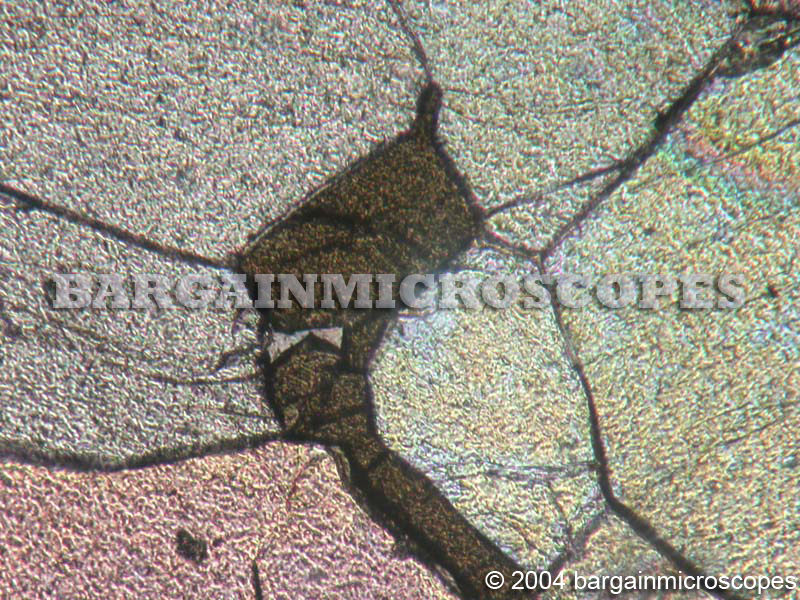 Polarized Filters can be bypassed for providing normal Transmitted Brightfield as well as Reflected Brightfield. 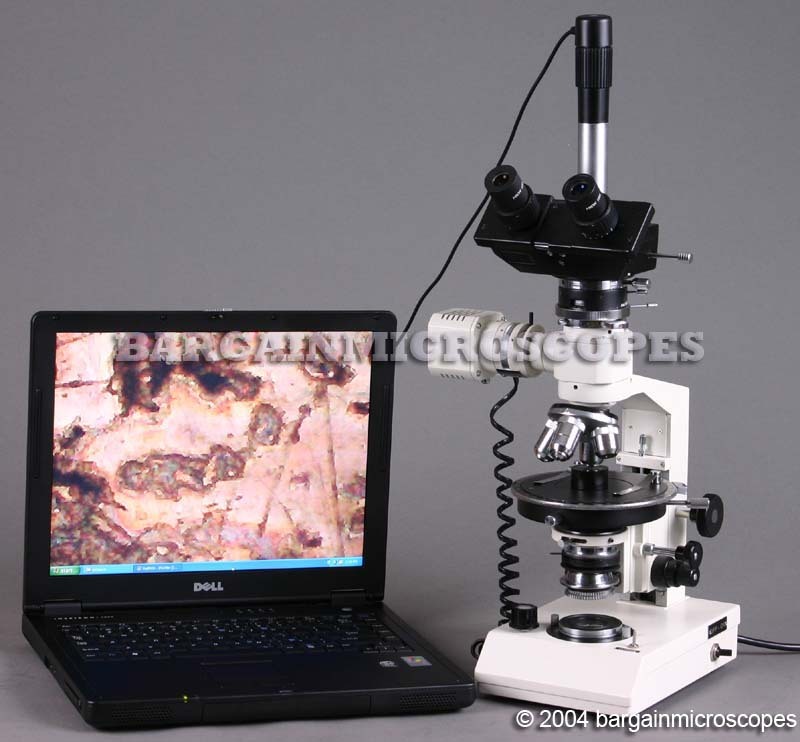 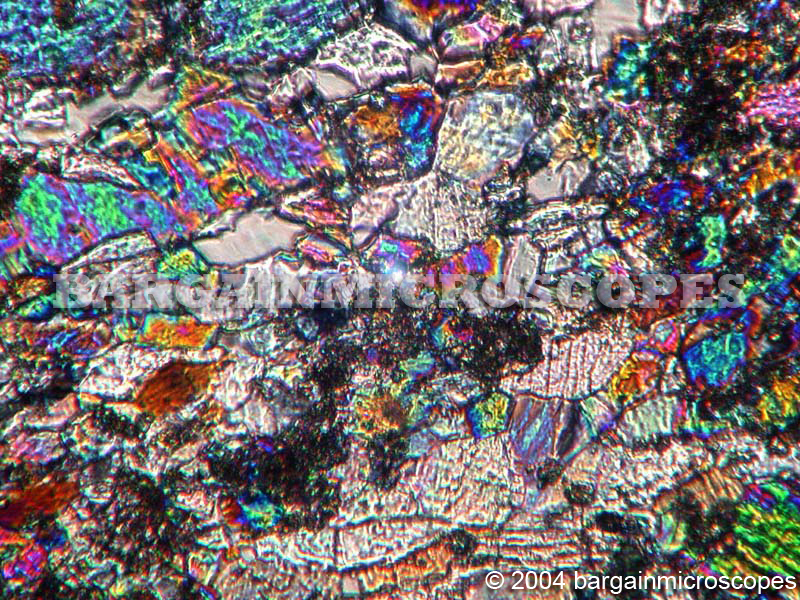 Perfect for viewing Rock-Mineral Thin Sections as well as Polished Specimens for Geology and Mineralogy Applications! 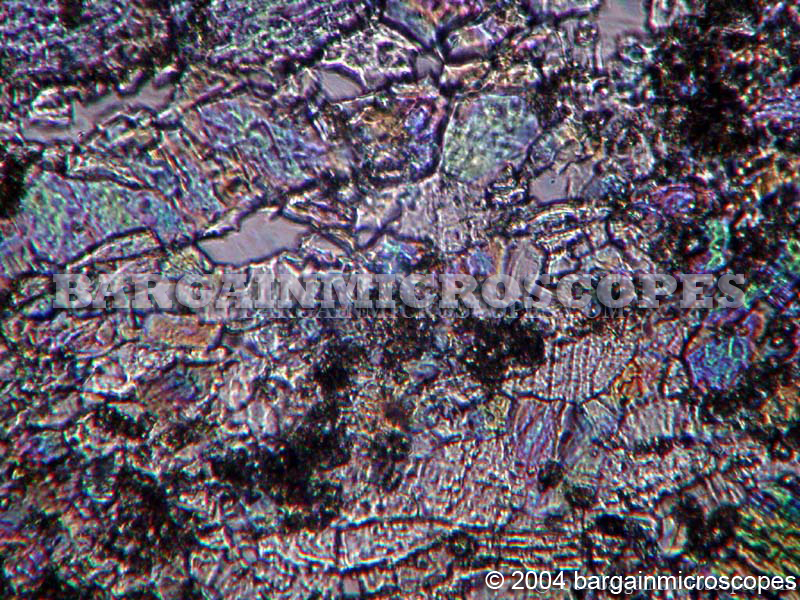 Two Drop-In Filters Included: Blue (Daylight) and Green.